What makes one of hockey’s biggest stars such an elite talent? When it comes to Connor McDavid, the list could be endless. 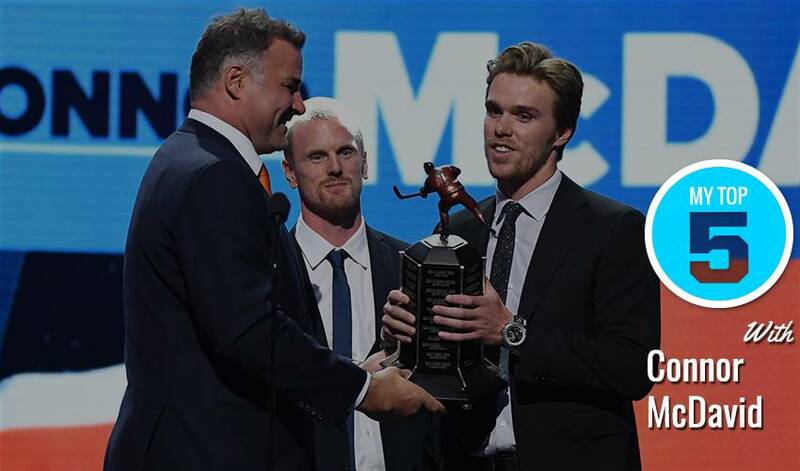 Dave Brown, in his fourth season as GM of the Ontario Hockey League’s Erie Otters, offers up five reasons why the 21-year-old Edmonton Oilers captain and two-time Ted Lindsay Award recipient is the real deal. While playing with Erie, McDavid won OHL and CHL Player of the Year honours in 2014-15, when he netted 44 goals and 120 points. He also won a second straight Bobby Smith Trophy as the OHL's top scholastic player. In 2013-14, as an OHL rookie, he won the William Hanley Trophy as the league's most sportsmanlike player. “He doesn’t have any fear of being great. He’s not afraid to fail and to try new things. From there, he perfects his skill set. I remember being in practice and turning to someone and saying, ‘Did he just do that?’ You’re overwhelmed. Even in games, we’d be sitting there, he’d do something and we’d say, ‘Did he just do that?’ In Erie, we tell our players, ‘Don’t be afraid to be great. Try new things. Be creative.’ I think that’s one of things that Connor does. He’s not afraid to be great. He believes in his abilities and skill set. He can implement that in his game.